Basket bags are now so prevalent that you're more likely to see one on the tube than you are a classic black tote. 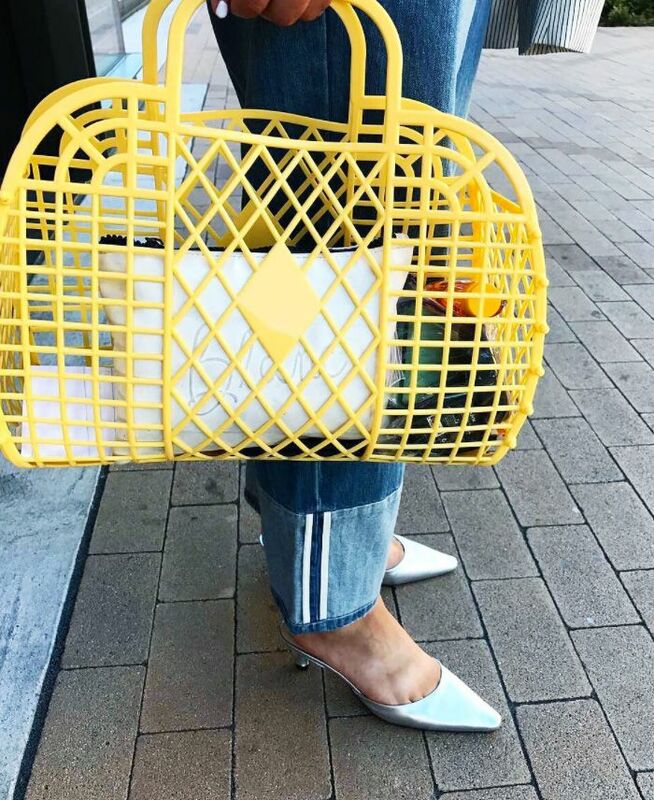 If you're reaching peak wicker or looking for something a little more playful, there's a new beach bag trend in town, and it's set to confuse dads everywhere. This month, the fashion crowd, including Man Repeller, has started photographing brightly coloured retro jelly bags by brand Sun Jellies. The £5 top-handle bags are no longer just for bathroom storage, but are being used as a handbag for the beach and city alike. Scroll below to see the colourful jelly bags in action, and then shop them below. The oversize bright yellow style is emerging as a favourite. Not just for summer: Gabriela Pelletier pairs hers with a winter blazer. Prepare to see this bag in flat-lays everywhere. Next up, this Sienna Miller outfit is so good that she can't stop wearing it.